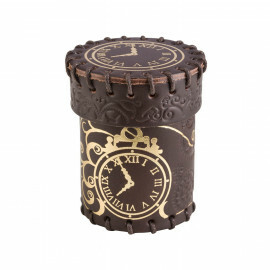 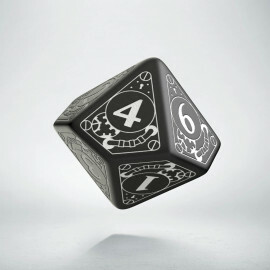 These cubes are a part of a mad scientist machinery, that was supposed to influence the time fate of those, who use it. 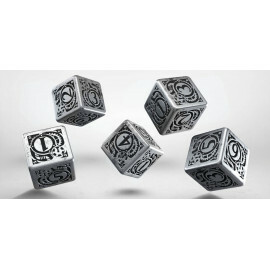 Unfortunately for the scientist, the matter of the machine warped in the process, leaving behind only those cubes with the machine carved in them. 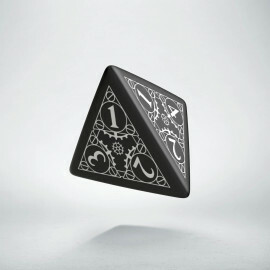 The machine still works in the dice altering the fate of those who use it. 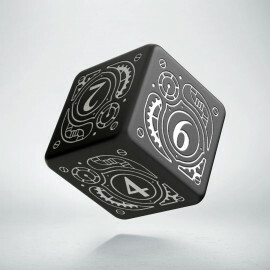 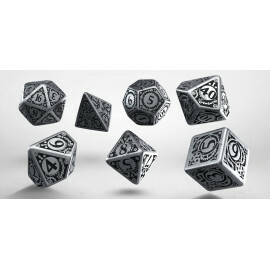 OK, I reveal to you another secret: These dice are made from parts of a mad scientist machinery that was supposed to influence the fate of those who use it. 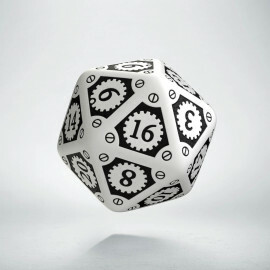 Unfortunately for the scientist, the matter of the machine warped in the process, leaving behind only many parts and cogs that act like lucky charms. That's what we have ground and inserted in our vats. 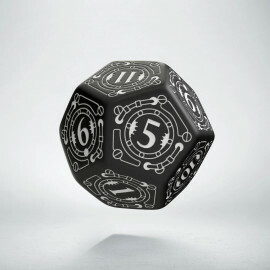 The power of this machine is still imbued within the dice, ensuring the paint doesn't wear off and altering the fate of their users. Black & White – This is the counterpart of the white set. These dice are for evil geniuses because they need good handouts in their mission of threatening the world. 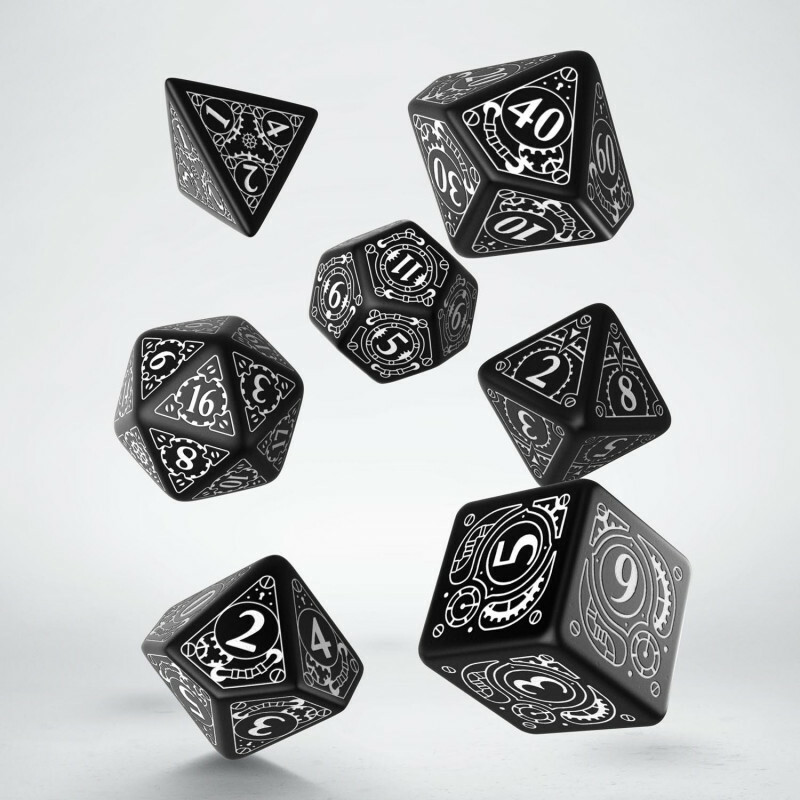 But if your hero is goodhearted but with the dark sense of humor, this set suits him probably better than any other. 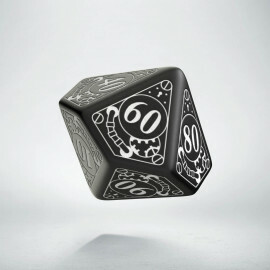 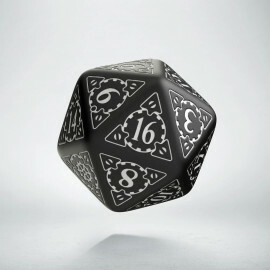 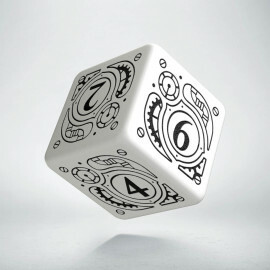 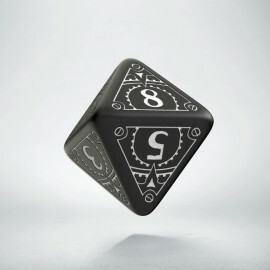 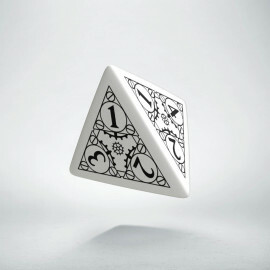 Our friendly gravedigger uses these dice and doesn't complain.